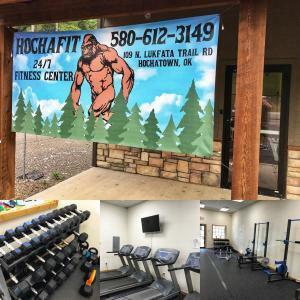 HochaFit is a new gym in Beavers Bend and Mountain Vista guests enjoy it for free! Mountain Vista is the first luxury cabin in Broken Bow to offer this amenity. We’ve known HochaFit owner Lance Owens for years. He’s a great guy and fitness guru. HochaFit is a 24-hour facility and conveniently located for Broken Bow Lake cabin visitors. I don’t like missing workouts when traveling…now you don’t have to when visiting Mountain Vista. HochaFit is located at 109 North Lukfata Trail in Hochatown. Grab a quick workout and visit with my friend Lance at HochaFit during your next trip to Beavers Bend! 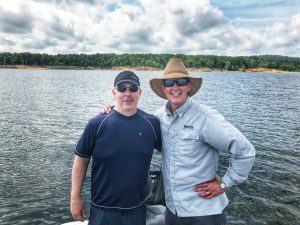 I spent a couple of days fishing Broken Bow Lake with my great pal, Dr. Michael Bourke, Chief Psychologist with the U.S. Marshals. Our good friend and guide, Bryce Archey helped us land about 90 fish in two days. My buddy Mike is considered the leading predator expert in the world. He travels the globe speaking and educating law enforcement about protecting children. We’ve fished with Bryce for several years and always enjoy being on the water with him. He always educates and helps us become better anglers. 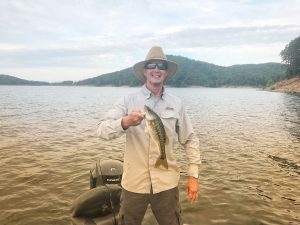 If you’re searching for the premier guide on Broken Bow Lake, Bryce is the man! 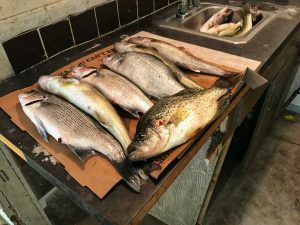 Ask about our fish and stay packages at Mountain Vista luxury cabin. After a long day on the lake, we enjoyed lunch at Rolling Fork Takery. 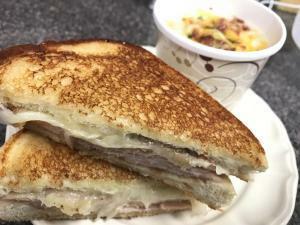 It was so delicious Saturday that we returned Sunday! 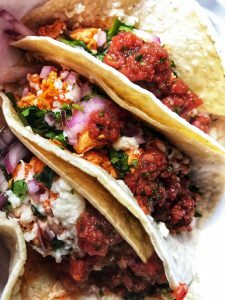 The Spicy Buffalo Chicken Tacos were amazing. Owners Skip and Shellye Copeland have created a magnificent blend of hospitality and healthy food. The were named Yelp’s top Oklahoma dining choice in 2017. Summer weekends are filling quickly at Mountain Vista. Currently, we have July 4th available. A four-night minimum is required. There have been several accidents in Hochatown on 259A recently. A few wrecks have been fatal. Please slow down when driving in Beavers Bend. Often, tourists are looking for a restaurant or road to their cabin and that’s when accidents occur. Our good friend Pam Jackson, owner of Adam and Eve’s Coffee Shop, has been instrumental getting the speed limit reduced in the area. SpannMan’s BBQ in Antlers, OK has developed a huge following from our OKC guests traveling to Mountain Vista. 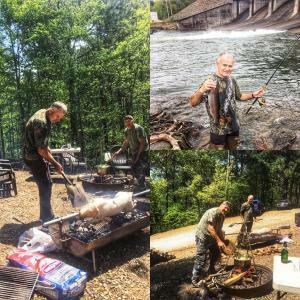 We enjoyed his amazing cuisine last night during a picturesque evening in Beavers Bend. 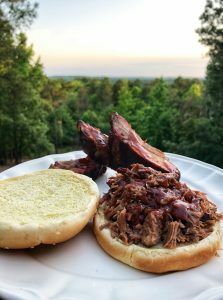 SpannMan, a champion BBQ pit master, continues to create amazing food. 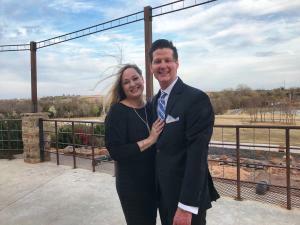 We hosted a dinner event at Mountain Vista and our guests loved his world-class BBQ! We’ll be fishing with pal Bryce Archey, this weekend. His BrokenBowLakeGuide.com service is the premier guide service on the lake. Hopefully we’ll have lots of pics to post in the next few days. Summer dates are beginning to fill at Mountain Vista. 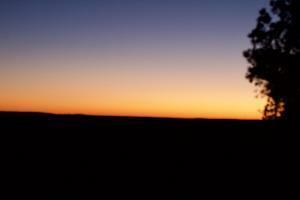 We feature acres of seclusion and a 50-mile view of the Kiamichi Mountains. You’ll never pay needless resort or insurance fees at our vacation home. Do your homework before choosing a luxury cabin in Beavers Bend State Park. Scores are being built and many are very close together. Enjoy the weekend and contact us at BeaversBendVacations.com to reserve your stay at Mountain Vista! 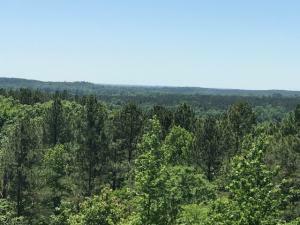 Mountain Vista is now available for Memorial Weekend near Beavers Bend State Park. A four-night minimum is required and we always provide free s’mores kits, firewood and Starbucks. Summer dates are booking fast. Make your plans to visit our Broken Bow, OK luxury cabin and experience the Mountain Vista difference. Rather than dealing with a large company overseeing scores of cabins, you deal directly with us…the owners! We’re always available via phone or text if you need assistance from our wonderful staff. Unlike many cabins, we never charge resort or insurance fees. Contact us at BeaversBendVacations.com to reserve your Broken Bow getaway! Unfortunately, we couldn’t make it to Mountain Vista for the feast. They reported the trout fishing was amazing this weekend below the dam. There are a couple of weeks left in April for you to take advantage of a free fourth-night at Mountain Vista. Start planning your summer and holiday Beavers Bend luxury cabin trips now. Many unfamiliar with the Broken Bow Lake area are amazed at the popularity of tourism in Beavers Bend. The best cabins fill quickly during peak dates. Download our Beavers Bend app. The app features all the local hot spots and our blog. We offer VIP deals and tips about choosing a luxury vacation property. Mountain Vista luxury cabin has three king-bedrooms and features acres of seclusion. We never gouge guests with insurance, resort or cleaning fees. Our guests enjoy free Starbucks, s’mores kits and firewood. 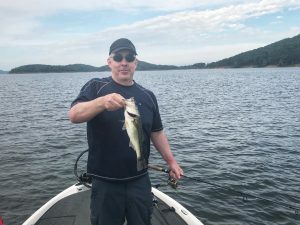 Resort fees and other incidental charges have become prevalent in Beavers Bend during the past few years. A resort fee provides nothing for the guest. I’ve written extensively about this to educate tourists. Our 50-mile view is so stunning other cabin companies have used it on their websites through the years without our permission. Escape to Beavers Bend State Park and recharge. Make plans to visit Mountain Vista soon! 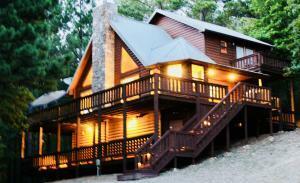 Enjoy a free fourth night with our April Broken Bow Cabin Deal at Mountain Vista! 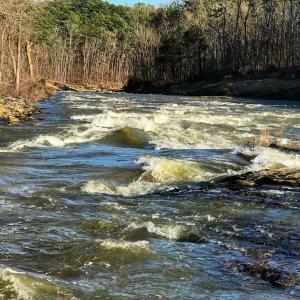 Beavers Bend’s foliage is beginning to show signs of spring and the annual Dogwood Days Festival is the first Saturday in April. Our heavy booking season has arrived at Mountain Vista cabin. Weekends and holidays are extremely popular. Make sure to reserve your luxury Broken Bow cabin soon. Many things make us different than others, including our 50-mile views from the deck. Mountain Vista luxury cabin features acres of seclusion and you deal directly with us, the owners. We’re not a large property management company juggling 40-80 cabins. You’ll never be gouged with add-on fees and we feature upscale amenities and free s’mores kits. We even had a compliment about our high-end toilet paper recently! April is a great month to visit Beavers Bend. The area isn’t crowded and its a great time to play golf at Cedar Creek, fish and hike the scenic trails. Contact us at BeaversBendVacations and enjoy your free fourth night at Mountain Vista in April! Beavers Bend Spring Break 2018 is officially underway. 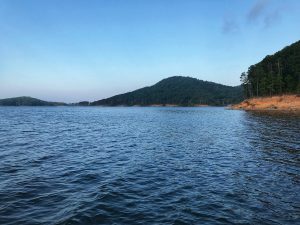 We met several people this week from DFW visiting Broken Bow for the first time and they were hooked on the Beavers Bend area. 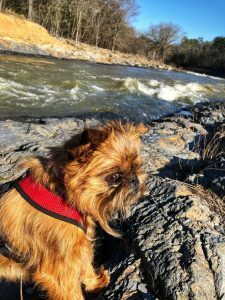 Sherri and I along with Kula, the Grand Champion Brussels Griffon, enjoyed spending time at the Spillway last week. The heavy rainfall from February has resulted in all boat ramps on Broken Bow Lake being closed. It’s business as usual elsewhere in Beavers Bend State Park. Download our free Beavers Bend app for our blog and VIP offers to Mountain Vista luxury cabin. Our friends at Adam and Eve’s Coffee shop have a new location. Make sure to drop in for a great cup of Joe! Our top dining recommendation in Beavers Bend is Rolling Fork Takery. 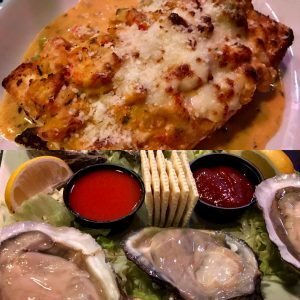 Rolling Fork was named Yelp’s top rated Oklahoma restaurant in 2017. We’re different at Mountain Vista. You’ll never pay firewood, resort, cleaning or insurance scam fees. 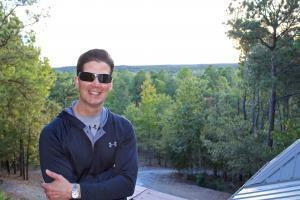 Make sure to look for these before reserving a luxury cabin in Broken Bow. Enjoy Spring Break in Beavers Bend! 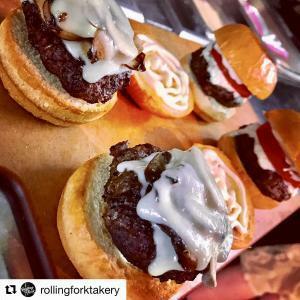 Rolling Fork Takery is The One Restaurant To Try In Oklahoma, according to Yelp! I’m very excited for my lifetime friends, Skip and Shellye Copeland. They’re wonderful people and brilliant marketers. Most importantly, they create world-class food! Skip and Shel opened this tremendous concept in 2017. Locals and tourists have been elated with their mouth-watering cuisine and service. Skip left a lucrative executive position and Shel has been a successful media personality/voiceover talent for years. Now, they’re living the American Dream! I wrote about Rolling Fork a couple of times in 2017 and knew they’d be very successful. A national award like this from Yelp has caused their popularity to skyrocket. Rolling Fork features indoor and outdoor seating. Dogs are welcome on the patio. 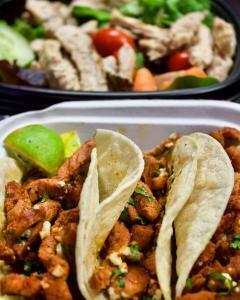 They have a convenient online ordering system if you want to grab it and head to the lake. Rolling Fork is located at US Highway 259 and Coho Road in Hochatown. Only a few miles from Mountain Vista Cabin. It’s slightly north of Girls Gone Wine. 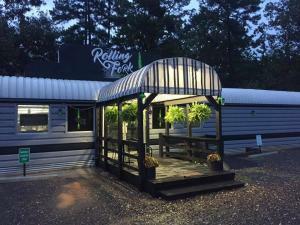 Rolling Fork is now our top dining choice near Beavers Bend State Park. Reserve Mountain Vista on February 12-14 and enjoy an in-cabin meal prepared by Food Network Champion Chef, Tabb Singleton! The extraordinary event will be for a maximum of four people on Valentine’s Day evening. I featured this amazing chef a couple of years ago and millions have read the story. Tabb won “Chopped” and Deep Fried Masters television shows on the Food Network. 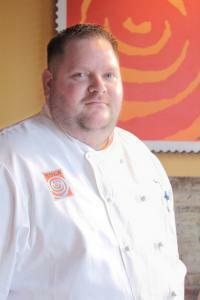 You’ll be able to see Chef Tabb prepare dishes and learn a few tips. Watch one of his wins here! Tabb will contact you prior to arrival and discuss your meal and beverage wishes. Don’t miss this rare opportunity to dine with our famous friend! Contact us at BeaversBendVacations.com for details! Discover Oklahoma recently featured Rugaru Zip Line. A great activity to checkout when visiting the Broken Bow, OK area. Enjoy Charity O’Donnell and Jessica Shank from the Broken Bow Chamber of Commerce. They’re fantastic showing no fear of heights! Charity and Jessica do a tremendous job promoting Beavers Bend tourism.